“When we first arrived in town and walked from our hotel to see Piazza Walther in person, it was slightly different from how it looks today. There was a stage that stayed up all summer long that decorated one corner of the square. It displayed a model of the first cable car in these parts, which was celebrating its 100th birthday at the time. I think they claim it was the first cable car in Europe, actually. The car design was strikingly open on the sides, and there were no seat belts to make sure you stayed strapped in as it ascended the steep slope up to Colle, a town above Bolzano. It must have been quite daring to go for a ride in those early days.” — from the chapter “Welcome to Bolzano” in Life on a Gelato Diet. 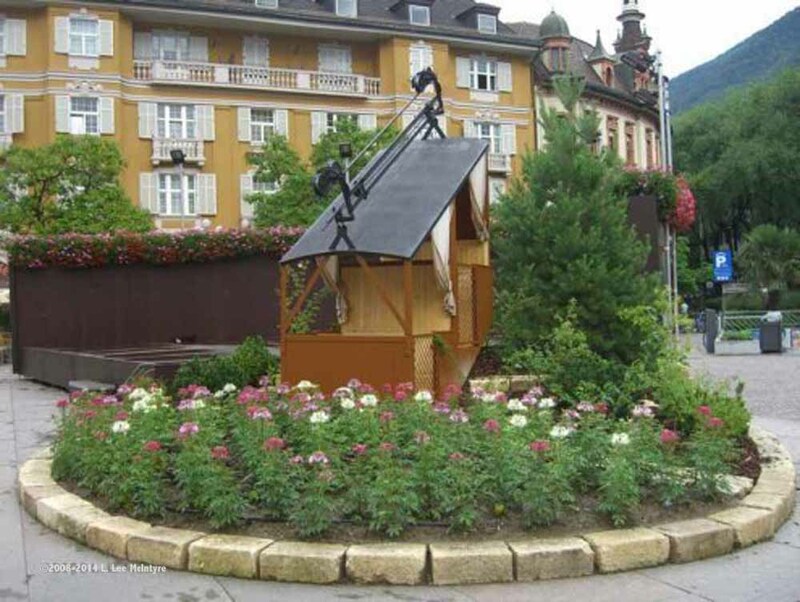 This entry was posted in Welcome to Bolzano and tagged Cable car, Piazza Walther by leemcintyre. Bookmark the permalink.